The limited edition 40th anniversary speaker monitor has arrived at Parmenter Sound, and it’s a doozy. The new reference speaker at Parmenter Sound – which celebrates its own 20th anniversary this month – is the newly arrived Harbeth Monitor 40.2. Only 40 pairs have been made internationally. Jason Parmenter has matched it with a Pass Laboratories X250.8 stereo amplifier. The Harbeth monitor (in olive wood) includes the latest WBT-nextgen binding posts, British-made audio grade poly capacitors, and Harbeth’s 40th anniversary ultra-pure OFC internal cable. Each speaker will also include the Harbeth 40th Anniversary limited edition front and back badges and the metallic black and gold anniversary grille badge. 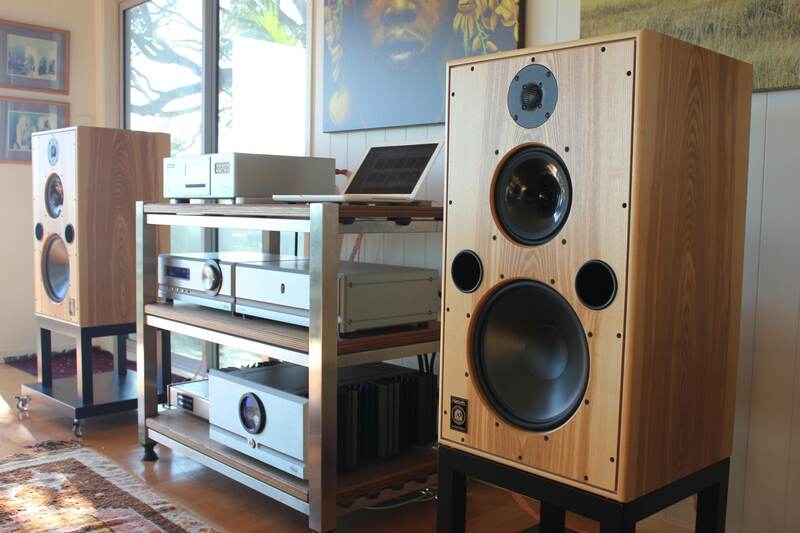 The Harbeth Monitor 40.2 in standard form is priced from $23,000 in cherry wood veneer. The olive wood version retails for $28,000.